Representatives of the creative industries in the North West convened at Manchester Metropolitan University on 28th July to discuss Brexit and ensure the government is fully informed about the impacts on the industry as it negotiates new arrangements with the EU and other countries around the world. Organised by the Creative Industries Federation (CIF) in partnership with Design Manchester and Manchester School of Art, the meeting brought together a diverse range of organisations including Manchester International Festival, Baltic Creative and FACT from Liverpool, Imperial War Museum North, the BBC, the Royal Northern College of Music, Arts Council England, HOME and Gandey World Class Productions. Manchester City Council, MIDAS and the Design Business Association were also represented. The Manchester meeting was arranged as a follow up to CIF’s emergency Brexit conference at King’s College in London on 7th July, two weeks after the Referendum, which was attended by some 200 organisations. 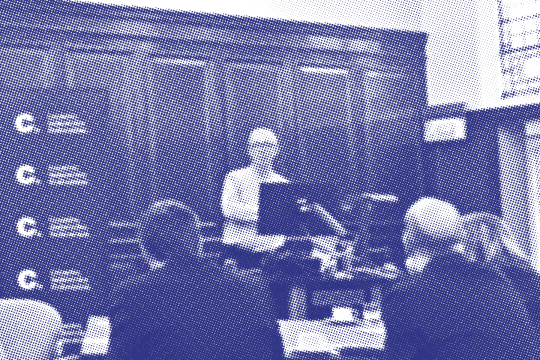 Following that conference, Design Manchester offered to organise an early event in Manchester to ensure that specific issues faced in the region will help inform the advice given to government. A wide-ranging discussion facilitated by CIF’s John Kampfner addressed four main areas: access to markets and trade, access to talent and movement of people, implications for the digital single market and IP protection, and access to funding. Carol Gandey of Cheshire-based Gandey World Class Productions – who promote circus tours and other large-scale entertainments – and Fiona Gasper of Manchester International Festival highlighted the risk of increased costs and administration involved in touring, and the impact of losing reciprocal VAT arrangements. The BBC’s Adrian Mills pointed out that co-productions across Europe are embedded in the economic model that underpins TV production, so we need to understand the implications of any change in that model. The impact on overseas student numbers were highlighted by Paul Goodey of the Royal Northern College of Music and Manchester School of Art’s Professor Mary Oliver, who pointed out that EU students have worryingly already withdrawn from courses following the Brexit vote. While CIF surveys suggest that 95% of people in the creative industries voted to remain, the overwhelming sense now is for achieving the best possible outcome in the negotiations and looking positively at new opportunities that are opened up. David Houliston of the City Council pointed out that existing EU funding instruments will stay in place until negotiations are completed and even after that, Manchester will continue to have opportunities for building strong creative links with cities in Europe and elsewhere. The creative industries have an important part to play in that process. The Chase’s Richard Foley, representing the Design Business Association, felt there is a major PR job to be done for the creative sector, to promote the things we want and believe in. While there was anxiety about access to funding and access to markets, perhaps the prime concerns are around skills, talent and potential restrictions to freedom of movement. Tier 5 visas for exceptional talent are recommended as one of the best ways of bringing in needed skills from around the world. Addressing the skills gap within the country with improved training and education should be a priority for the government. Given the importance of the creative industries, it is a problem that academies are now under no obligation to offer any arts subjects, and many already don’t – this is something the government should look at again. There are similar problems for social cohesion caused by the ack of diversity in the uptake of apprenticeships. The new government has identified Brexit, industrial strategy and social cohesion as its main priorities and the creative industries have an important contribution to make in all three areas. CIF is conducting industry consultations in cities around the country so it can best inform the government about the concerns and implications for the industry of policy options in the course of negotiations with the European Union and other countries. Design Manchester will continue its efforts to make sure that the voice of design in the region is heard in that process.